Founded in 1996, this school is located in the CBD of Brisbane. It is a popular choice for international students since it is close to most public transport links, shops and restaurants making it an ideal location for students who need to commute to classes. The facilities at the school include air-conditioned classrooms, computer rooms, spacious student lounge and free internet access to enable quick learning process. They also have additional facilities like TV’s, microwaves and fridges. The school is well diversified and hosts students from different nationalities, allowing a great environment for social interaction and learning. Ashton College was founded in 2008, and is housed in Melbourne’s central business district. It is very popular with students from different nationalities and has an excellent nationality mix. Over the years, the school has provided over 3000 students with high quality education. Students get a global learning experience which allows them to gain confidence. Ashton College has great facilities which include a cafeteria, computer lab, free parking and free WIFI, just to mention a few. Before starting classes, students are required to take a language level placement test to allow teachers to place them in the right classes. There a number of organized activities to extend the learning experience. This college is located in the heart of Sydney and is right opposite the famous IMAX cinema. Since its inception in 1989, the school has taught English to foreign students with 7% of the population being from Thailand. The tuition is very affordable and includes organized activities, language placement test before arrival and on the first day of classes, free WIFI and access to a computer lab. The average age of students attending classes in Ashton College is 25 years. 100% of the teachers at the center have a university degree and are highly qualified. The Language Center is located in Scarborough Beach in Perth, and was founded in 2009. The area around the school is vibrant and has friendly locals and entertainment allowing students to feel at home. There are great apartments nearby that long stay students can rent at low prices to allow them to commute easily to the school. The school has special facilities which include special features for their disabled students. The classrooms are well air-conditioned and well-lit to provide a comfortable learning environment for the students. Apart from offering the English lessons, the school provides leisure activities which include dancing, sailing, mountain biking, swimming, field hockey, volleyball, golf, diving and table tennis, just to mention a few. This is a popular English learning center in Melbourne since it is located close to the main streets, shopping plazas and restaurants. The center has a great track record and students have outstanding performance records. The teachers are well qualified to deal with students from different nationalities as they teach them English depending on their language level placement results. They have 6 adult courses in summer and the average age of students who attend the center is 25 years. Students as young as 16 years old are allowed to enroll for English learning courses. Thai students will make most of their time in Australia by enrolling in one of these top English Learning centers. If you are looking to enroll for an English language course in Australia, ensure that you use the services of a reputable company to help you get your student visa first. Ensure that the company has many years of experience in processing visas for Thai citizens looking to go to Australia for higher education. 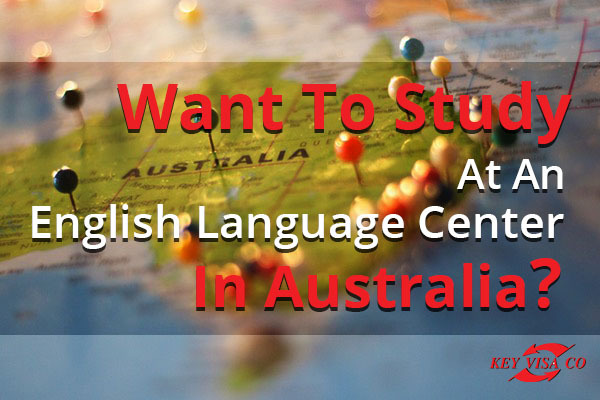 Contact us today at Key Visa Co for more information on how to get your visa sorted out to start your pursuit of English learning in Australia.